Our Summer of 2017 (and of 2016, and of 2015, and of 2014 for that matter) might have disappeared in the blink of an eye, but we couldn’t be more thrilled to have something wonderful to show for it: finishing our next book KITCHEN CREATIVITY, which is being published by Little, Brown and is due to appear on bookstore shelves on October 31st. 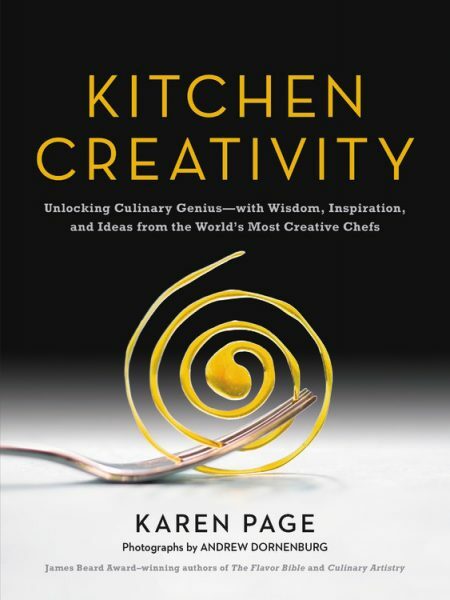 Based on personal interviews with dozens of the world’s most creative chefs — including Jose Andres, Michael Anthony, Damon Baehrel, Dan Barber, Rick Bayless, Daniel Boulud, Amanda Cohen, Kyle Connaughton, Curtis Duffy, Patrick O’Connell, Ghaya Oliveira, Eric Ripert, Marcus Samuelsson, Nancy Silverton, and Joshua Skenes — as well as our in-depth research on dozens more, KITCHEN CREATIVITY shares the best practices behind their creative processes — and how you can put them to work in your own kitchen. 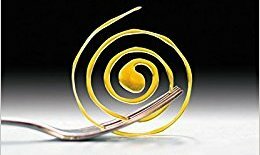 Learning to think creatively in one discipline opens the door to understanding creative thinking in all disciplines. 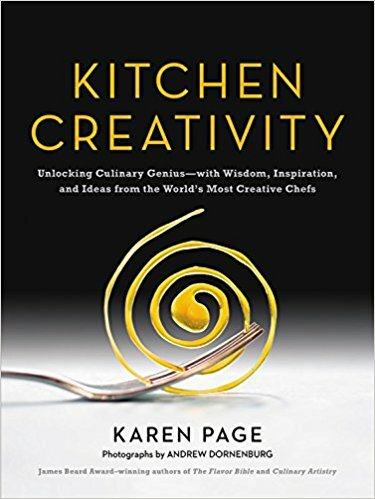 KITCHEN CREATIVITY: Unlocking Culinary Genius–With Wisdom, Inspiration, and Ideas from the World’s Most Creative Chefs by Karen Page, with photographs by Andrew Dornenburg (Little, Brown; Fall 2017), will be available October 31st.